President Trump under fire over comment at Finland summit with Putin – Royal Times of Nigeria. 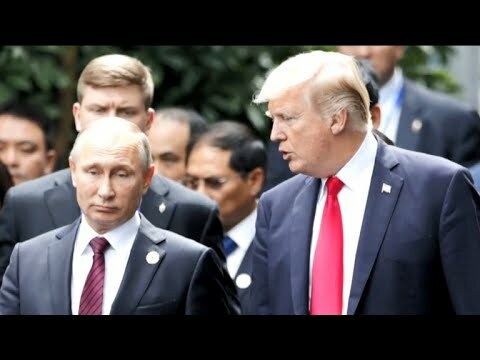 At a summit with Russian President Vladimir Putin in Finland, President Trump contradicted US intelligence agencies, saying Russia had no reason to meddle. Despite calls to be as tough as possible during the meeting in the Finnish capital of Helsinki, Trump took a soft line and tried his best to avoid upsetting the Russian leader. The remarks did not go down well with Senate Armed Services Committee Chairman John McCain, who said Trump’s joint press conference with Putin after their meeting was one of the most disgraceful performances by an American president in memory. The top Republican in Congress, House Speaker Paul Ryan, said Mr Trump must realize that Russia is not an ally. Director of National Intelligence Dan Coats said in a statement, said Russia is responsible for ongoing, pervasive attempts to undermine US democracy.